I cried, a few times. My heart wrenched violently and tears blurred my vision. 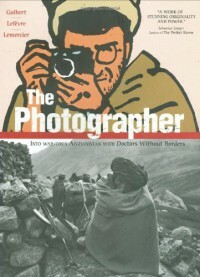 This book features a journey of a French photographer, Didier, who joined a MSF (Medicins Sans Frontiers) group into Afghanistan during the nation's violent period in the 1980s. It is a unique mix of photographs taken by Didier and graphics by Emmanuel Guibert. In essence, The Photographer was a road trip through such appalling hardship, but things learned, realized, and valued were really worth it. The story that Robert - a doctor - told Didier close to the end of Didier's stay with him in Afghanistan, was the most gripping. It was a beautiful book, with beautiful stories, about Afghanistan and its people - religion, war, women, family, love; about MSF and its members, about Dider himself coming to terms with the country and his extraordinary trip. Through the innocent eyes and with the least political agenda possible, the book easily eases its way into readers' hearts. And of course, it was a beautiful books with beautiful and touching photos of the mountainous realm. 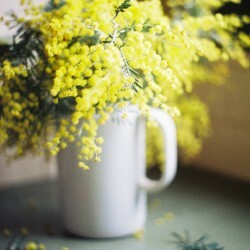 I wish I could blow up all of them, they are so very very beautiful. P.S: If you could, read the book in original French. I tried abit at first and the tone is so much better than the English version. But I was a tad too impatient.